Dancing for “them” or for Him? 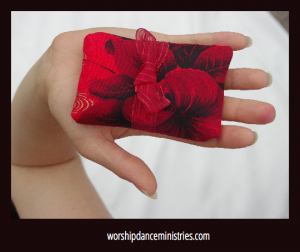 Here’s another must have resource for worship dancers. Written by Lynn Hayden of Dancing for Him Ministries, Dancing for Him (to purchase, click here) is a guide to understand the heart attitude necessary to minister effectively through dance, to understand the scriptural significant of the movements we do and what effect they have in the spiritual realm, and it provides practical wisdom for a dance ministry team leader. The part of the book that provoked the most thought for me was in chapter 7, Performance vs. Ministry. pastor Lynn distinguished between several categories of Christian dancers: those who dance because they enjoy dance and like to dance to Christian music; those who want to take back the arts for the Lord; and those who dance solely to minister to the Lord and to minister to people. I see myself in a combination of the categories. 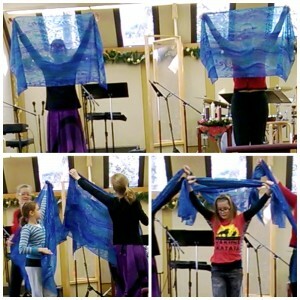 I began dancing in worship with no training and with the sole desire to minister to the Lord and people through dance. Over the past few of years, the Lord has enabled me to gain training so that I am now also I a moderately I skilled dancer with a desire to take back dance for the Lord. I don’t separate this from ministering to people through dance. I teach worship dance to children whose parents are so grateful to have a Christ centered environment for their children to dance in. I see offering dance to them as a ministry. The ministry begins with taking back dance for the Lord. But this is not separate from ministering to the children and teaching them to be ministers. Usually, we end a session of dance class with a ministry a presentation at a nursing home. I teach the children that this is ministry, not performance. We pray for the residents together, and they pray at home. They love dancing before other people. There is joy in the act of dancing. But they know the reason we are there is not to get applause or impress people, but to tell God’s stories and prepare the way for him to move in people’s hearts. Like the children, I love to dance. Even when I’m not ministering, even when I’m not overtly worshiping (like when I’m taking a class in the studio), I love to dance. It’s a joy to move the body god gave me in a way that is beautiful; however, that does not compare to the joy and meaning I find in worshiping Gd through dance and dancing in ministry. So, I see myself in all three categories. The most important part of dance for me is worshiping the Lord. From there, it is a privilege to grow in skill and to minister to others. This book will challenge you to ask yourself if you are dancing for “them” or for Him. It will give you practical wisdom about how to use dance in praise and worship, in gospel presentations, and in prophetic ministry. It will also encourage about the power that God releases as we move before Him in worship and ministry. 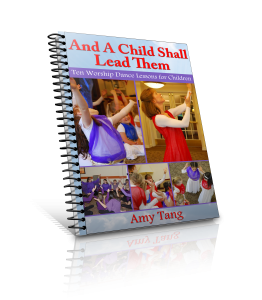 It’s a fantastic complement to Pastor Lynn’s other book and DVD, Dance, Dance, Dance! which is available in my store. Author AmyPosted on March 26, 2014 March 26, 2014 Categories Biblical teaching, Dance Ministry Leadership, Instruction, Products availableTags biblical teaching, dance leadership, dancing for him, liturgical dance, praise dance, rehearsals, worship danceLeave a comment on Dancing for “them” or for Him?